The question facing anyone contemplating a book on low back pain is : Why write another book? It is certainly true that there are many books on this topic addressing a wide variety of audiences. Some books are all inclusive and scholarly in nature, others are personal descriptions of diagnostic and treat­ ment philosophies. This book is a combination of these two extremes. It represents our views on the low back problem, supported by scientific data. 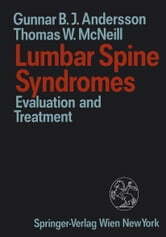 Most aspects on back pain presented in this book can be found in other texts. The organization of the material is unique, however. Our approach is to start by listening to and looking at the patient. It becomes apparent, then, that patients can be classified into one of the syn­ dromes described in chapters 4 through 13. We believe that this syndrome classification, which is quite simple to make clinically, will allow you to diagnose and treat your patients more effectively. To set the stage for the syndrome chapters the first three chapters of the book are generic to the remaining chapters. 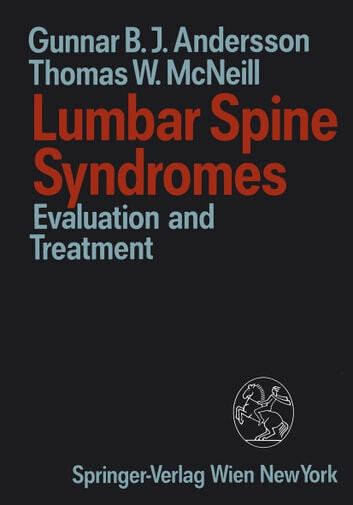 They reviewe the epidemiology, pathology, biomechan­ ics, etiologic theory, diagnostic methods, and treatment modalities applicable to the low back syndromes. They should be read before the syndrome chap­ ters. At the end of the book you will find four chapters that are specific to disease entities.